By train it takes only 1 hour 35 minutes to travel from Tanjung Malim (also written as Tanjong Malim) to Kuala Lumpur. You can also travel on this route by bus with services from Tanjung Bus Station terminating at Puduraya Bus Terminal in Kuala Lumpur, however, these bus services all leave very early in the morning (before 07:00) which may not be convenient for all travellers. There are 7 direct ETS train services a day from Tanjung Malim to Kuala Lumpur. 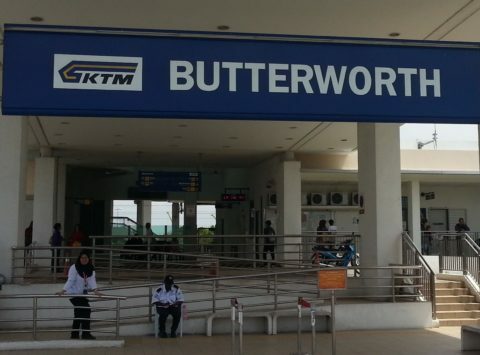 Use the Search Box below to buy your train tickets from Tanjung Malim to Kuala Lumpur. 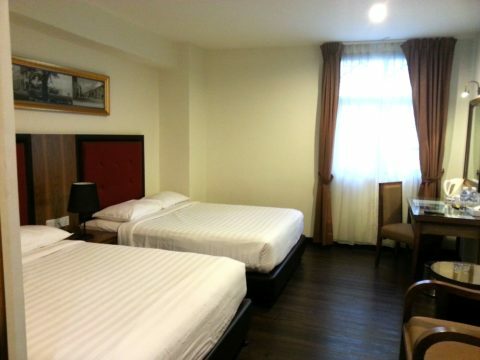 Tanjong Malim train station is 1.9 km by road from from Tanjung Malim Bus Terminal. 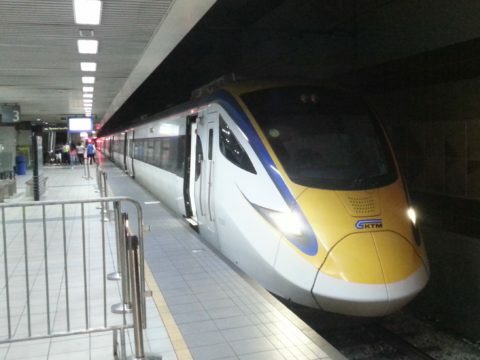 Trains from Tanjong Malim terminate at KL Sentral Station in Kuala Lumpur. Kuala Lumpur is a relatively new city having been established in the 1850s and growing into a major city during the late 19th Century and early 20th Century. The city does though have a number of interesting and magnificent buildings dating from the end of the 19th Century and the early part of the 20th which were mainly built by immigrants to the city, particularly the British colonial administration, but also Chinese and Indian settlers whose labour and ingenuity modernised the economy of the Malay Peninsula. Sultan Abdul Samad Building: Completed in 1894, the Sultan Abdul Samad Building originally served as offices for the British colonial administration of the State of Selangor. The building now houses the Ministry of Communications and Multimedia and the Ministry of Tourism and Culture. Selangor Club: The Selangor Club is a mock Tudor building built in 1910. 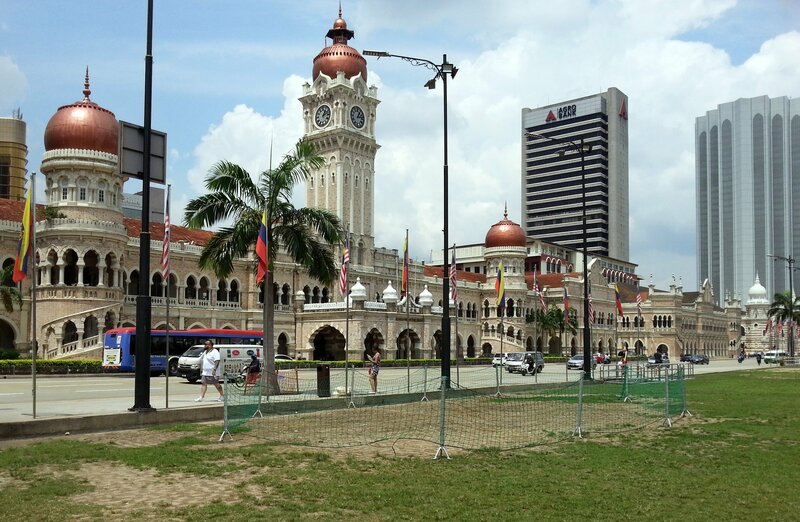 The building and the field in front were originally used as a sports club (almost exclusively by British residents in Malaysia). Old High Court: Built in 1915 this magnificent Indo-Saracenic style building now houses the city’s Sessions and Magistrates Court. National Textile Museum: Originally built in 1905 as the headquarters of the Federated Malay States Railways, and later used as to house both the Malaysian Central Bank and the High Court, the National Textile Museum is now open to visitors with displays relating to Malaysian fashion through the ages and its textile and batik industries. Kuala Lumpur City Gallery: This building was originally built in 1899 as the Government Printing Office. Jamek Mosque: Located just off Merdeka Square, the Jamek Mosque used to be Kuala Lumpur’s most important mosque. The building was designed by well known British architect A C Hubback with onion style domes reminiscent of Indian and Arabian architecture. A very beautiful building incorporating influences from across what was the British Empire.